With Man of Steel only a few weeks away from release, the excitement and anticipation is palpable. The marketing has been great, the trailers incredible and action-packed, yet one looming question remains: what is the story? We know General Zod and his companion, Faora, will be Superman’s foes in this flick, and Michael Shannon looks like a worth adversary to Henry Cavill’s Superman. Aside from that, the circumstances surrounding Zod’s arrival to Earth remain shrouded in mystery. One of the more interesting theories that’s been floating around the Internet the past few months is the notion that Krypton may not be destroyed at all. I even pointed out an image the other week from one of the TV spots that seems to show Jor-El alive in a ship above Earth. While we know that David S. Goyer has made changes to Superman’s backstory, keeping Krypton intact and Jor-El alive seems like the one big “no-no” for a revised origin story. While Superman himself is a rather one-dimensional character (i.e. a superhero who can do it all with no glaring weakness) the one thing that humanizes him is his struggle for acceptance and identity. He is a man without a home, so keeping Krypton and his father alive seems like sacrilege, right? General Zod. Once played by Terence Stamp with his overdramatic deliveries and one-liners, this new Zod seems like a more menacing villain for the Man of Steel. From what we’ve seen so far of Zod in the trailers, he is a cold-blooded killer hell-bent on destroying Kal-El (for the purposes of this piece I thought we’d go with Clark Kent’s Kryptonian name). But what is the purpose of his quest for death? Based on the newest trailer, which shows an extended version of Zod’s message to Earth, he says he has “journeyed across an ocean of stars to reach you.” The starting point of his journey is certainly Krypton, but how did a criminal like Zod get access to such a big ship? I’m guessing that at some point early on in the film, Zod is on trial before the leaders of Krypton, which may include Jor-El. Zod’s crime is likely one of treason in which he attempted to overthrow the leaders of Krypton and rule the planet in his own image. His biggest grudge against Jor-El is not only the fact that they have opposite views and ideologies, but that Jor-El and his wife have given birth to a natural-born son, Kal-El, which as we know is illegal on Krypton. Zod is a purist and feels that the collapse of Kryptonian society, and perhaps the imminent destruction of the planet, can be attributed to the weak leadership of its rulers. He feels his vision for a pure Krypton (i.e. a society like the one Hitler envisioned with his eugenics program) is the only answer for survival. At some point during his trial, Zod is freed by one of his followers, who likely poses as a trusted member or guard of the Kryptonian leaders. Take a look at the picture below from one of the trailers. We see a man jumping out of an exploding tower and onto a flying creature. 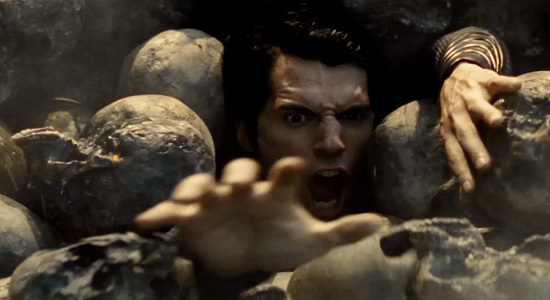 While the image is blurry, it certainly looks like it could be Zod escaping his trial. After Zod’s escape, and with Krypton’s destruction fast approaching, the rulers of the planet plan for a massive evacuation, but Zod leads a revolt to try and take control of the escaping scout ships, which might explain the scene below. Once Kal-El is sent to Earth, Jor-El and his wife attempt to escape in one of the fleeing scout ships, which will travel the universe looking for a new, habitable planet to begin a new Krypton–kind of like how Spock Prime found a new Vulcan in J.J. Abrams’ Star Trek after the destruction of the original planet. But as they are escaping, they find that Zod has taken control of their ship. He now has an array of ships in his arsenal, and is killing anyone who opposes him, hence the scene in the new trailer where we see Superman submerged in a stack of skulls, which I presume are dead Kryptonians. Jor-El is taken hostage, but his wife is left behind to add insult to injury. Take a look at the photo below. 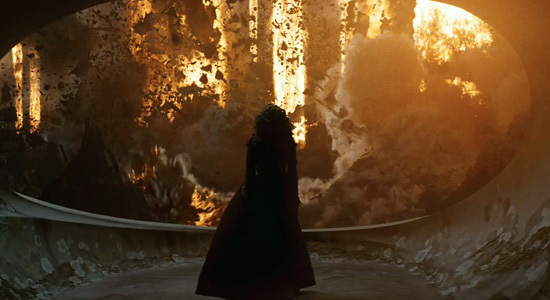 It could very well be a photo of Lara Lor-Van watching Krypton explode in front of her. Zod spares Jor-El’s life only because he wants him to see the death of his son, too. In Zod’s eyes, a new Krypton cannot begin with an inferior being still existing, which is why he wants Kal-El found and executed. He tracks Kal-El’s path to Earth and travels across “an ocean of stars” to find him. The ship they travel to Earth in is protected in such a way that prisoners on board are shielded from the light of the yellow sun, therefore they have no powers. Once Zod arrives, he warns the people of Earth to turn Kal-El over to him to ensure the safety of their planet, but in reality Zod has no intention of sparing Earth. He views humans as inferior beings, like Kal-El, and decides to destroy them all. 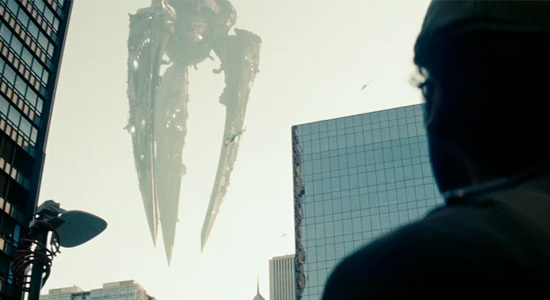 Zod uses a massive spider-like machine, which seems to be a power drill of sorts, to dig to the planet’s core to destroy it (is this how Krypton is destroyed?). At some point, too, Zod and Faora either take Lois Lane hostage on the ship to draw Kal-El there, or they grant her access as a reporter so she can write a story on them. Kal-El eventually stops Zod and saves Lois, and also discovers the other Kryptonians aboard Zod’s ship. Jor-El will leave with the other Kryptonians and Kal-El will stay on Earth. At this point, the whole world is aware of Superman’s presence, especially the US Military and Lois Lane. The military reluctantly sees him as a hero and ally but decides to keep tabs on him and promises to help protect his true identity from the public. And, with Lois Lane knowing who he is now, Kal-El goes from being a freelance journalist to an actual reporter at the Daily Planet, working in the building alongside her. At the end of the film, as a joke, he’ll put on a pair of regular glasses telling Lois that no one will be able to recognize him now. Again, this theory that I’m proposing is based solely on the assumption that Jor-El and fellow Kryptonians are alive during Man of Steel. This would certainly be a drastic change from Superman’s original origin story, but it would address the issue regarding Kal-El’s quest for identity and acceptance. Since he is an illegal child of Krypton, defeating the planet’s greatest tyrant and saving the remaining Kryptonians would prove Kal-El’s worth and show that he is a true Kryptonian. It would also make him realize where his place in the universe is: here on Earth. 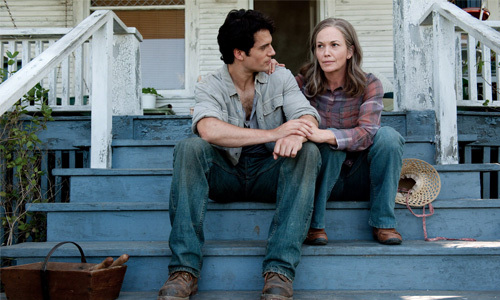 In the first trailer, Kal-El says, “My father (Jonathan Kent) believed that if the world found out who I was, they’d reject me.” After he saves Earth from Zod’s genocide, the planet will see him as a hero and embrace him as their protector. However, there will be one person in particular who will still view Kal-El as a destructive force just as dangerous as Zod. A man who will stop at nothing to destroy him. A man named Lex Luthor. 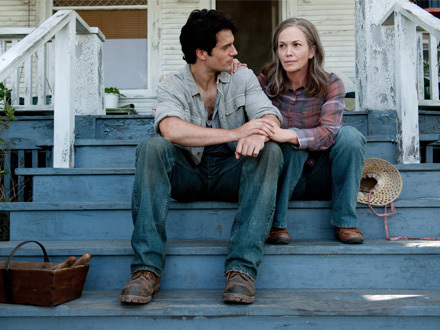 Does this sound like a plausible synopsis for ‘MAN OF STEEL’? 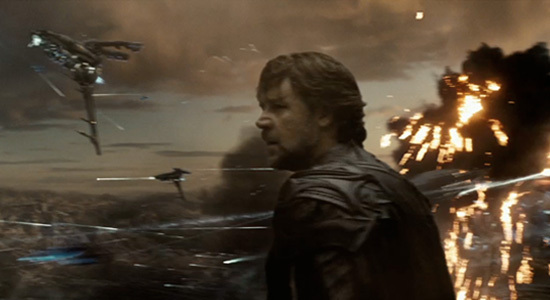 Is Jor-El Alive In ‘Man of Steel’? I like this idea actually. I still think Jor-El and Krypton will be dead and his image just a holographic image of sorts, but if he is alive this seems like a plausible approach. I wonder just how much of Krypton we'll see in this film. Should be fun either way, though. No. The first picture is Kal-El falling into the ocean after the oil rig explosion. It's not Kal-El because the trailer shows the guy land on a flying creature. If it's not Zod, it definitely looks like it could be Jor-El. 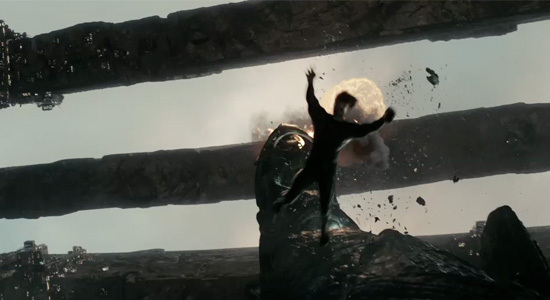 Maybe Zod destroys that tower and Jor-El manages to escape somehow.